Add a fun and loving element to your event, let your guests ring these little rose gold wedding bells every time they want the newly weds to kiss! Wedding bells ring out and the newly weds are ready to start their life as a couple! 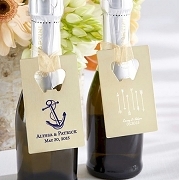 Adorn your reception tables with these delightful kissing bells and keep the loving mood going. 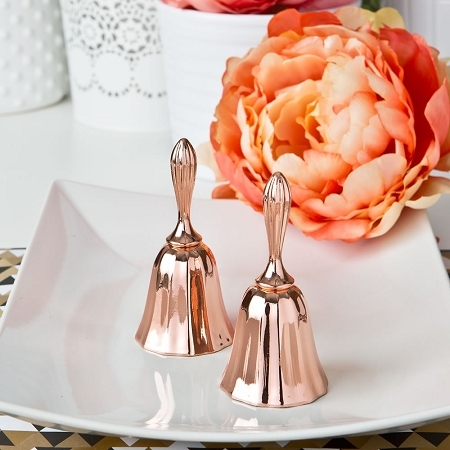 These quality bells are made from cast metal and plated in a vibrant rose gold finish. They have a ridged design creating shadows, textures and complex reflections on the sides of the bell. A metal clapper is included for excellent ringing quality and sound. 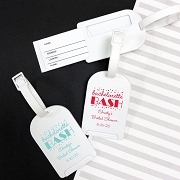 Get your wedding day ringing out with joy and good wishes! 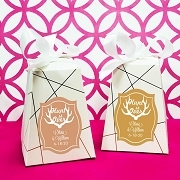 Your guests will have fun ringing the bells and then be thrilled to take them home as a reminder of your fabulous day.